There's a pool, solarium and hi tech BBQ too! 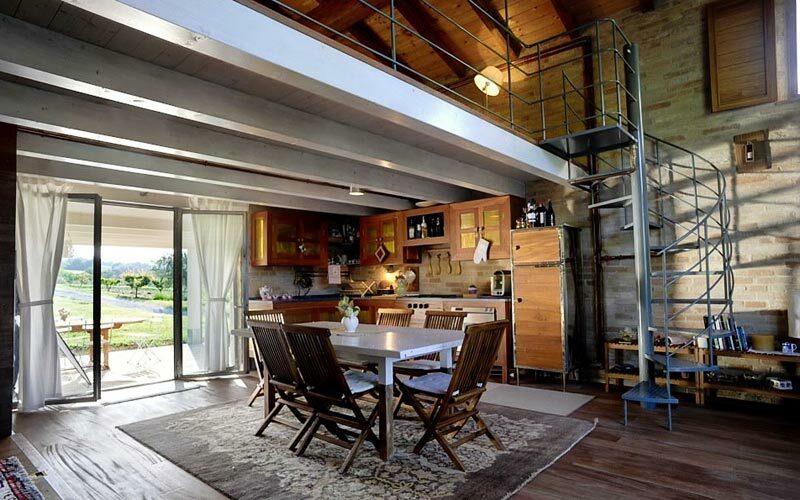 A loft in Marche? Santomaro Country Loft! 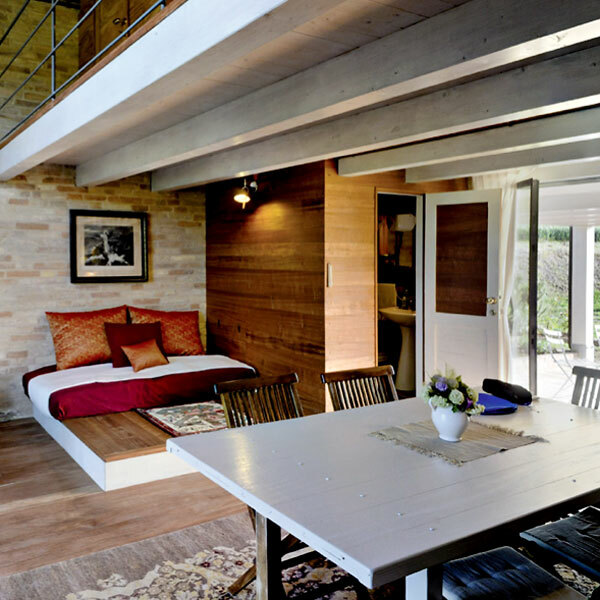 Part rural house, part urban retreat, this gorgeous guest house nestled amidst the green hills of Morrovalle has got contemporary chic in the country down to a T! Modern architecture in an ancient landscape. A recipe for disaster? 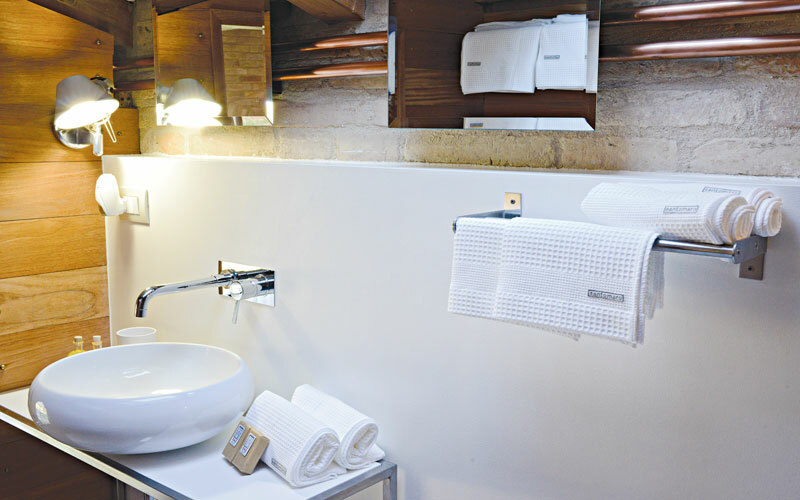 Not at Santomaro Country loft, where contemporary design and the natural surroundings live in perfect harmony. 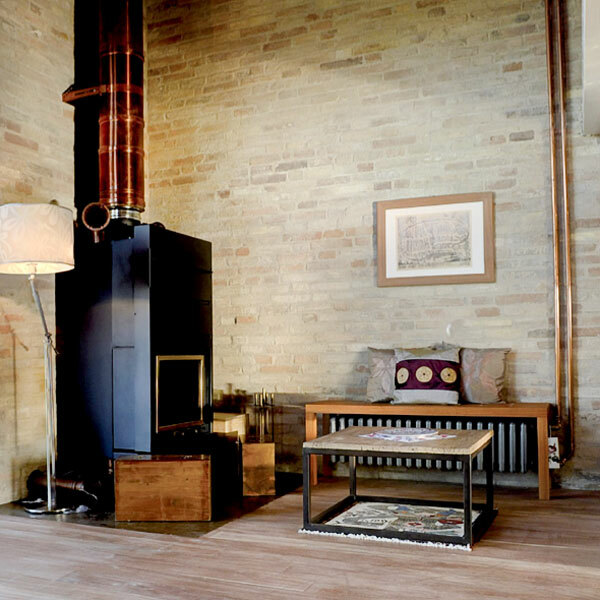 Result of the careful use of locally-sourced materials and the sensitive integration of modern technology, Santomaro Country Loft is both an eco-friendly bolt-hole and dashing designer pad. Super cool and wonderfully warm! 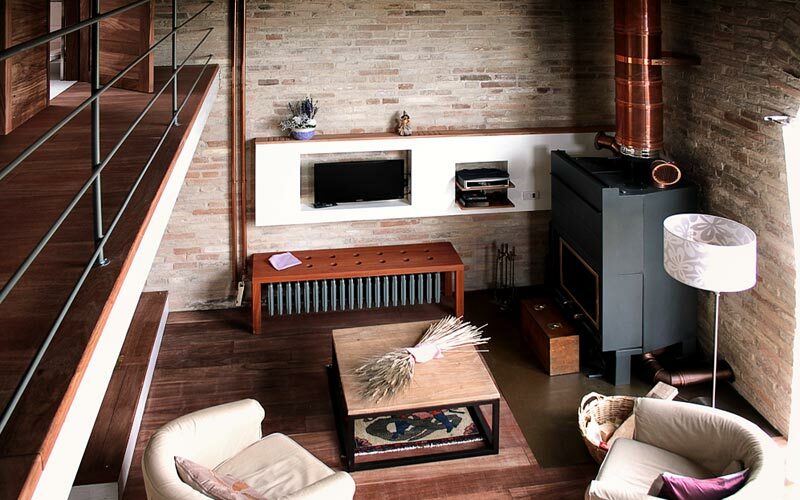 Santomaro Country Loft may be sleek and stylish but it has an authentic home-from-home feel too. Life at Santomaro Country Loft centers round the stunning open-space living and dining room with visible kitchen, on the ground floor of the building. This is where you can while away the hours, listening to music (just connect your smart phone) watching a DVD (movie buffs will love the home theater system), or simply relaxing, a glass of Marche's excellent wine in hand. 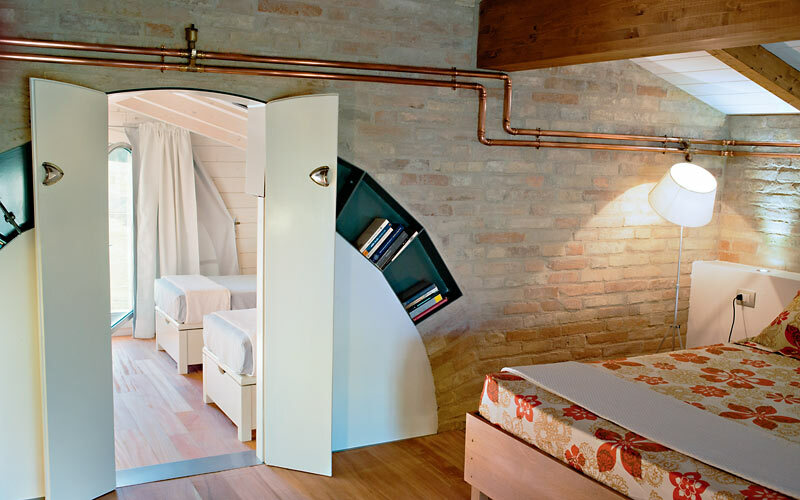 A glistening steel staircase spirals its way up to the mezzanine floor where Santomaro Country Loft's large double bedded room and twin bedded room with terrace are located. 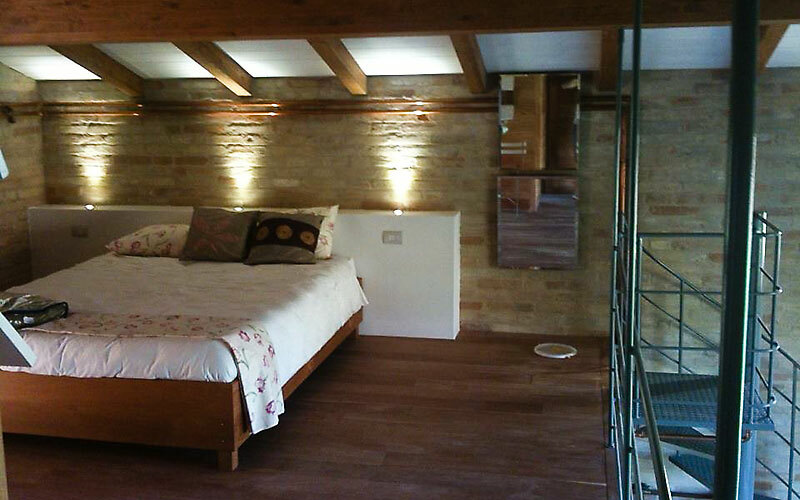 Ideal for a family (mum and dad in one room, the kids tucked-up in the other), the loft is, likewise, a great choice for a romantic escape or weekend away for two . 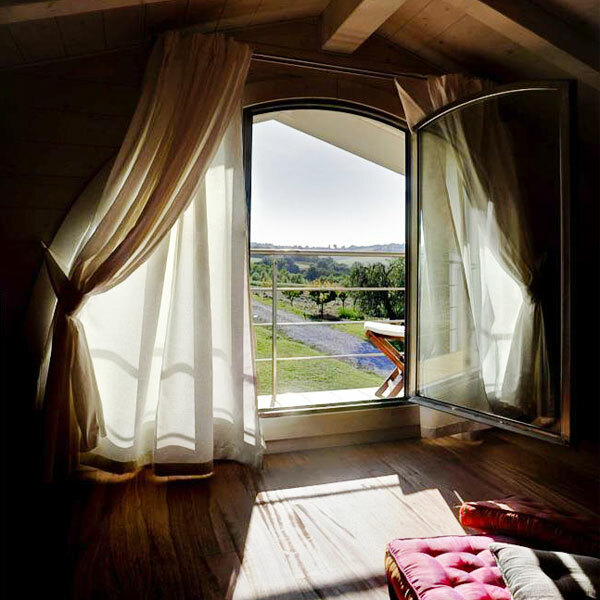 Wake up in the morning and you'll find the open space living room below you filled with the sunlight flooding in through the large floor-to-ceiling windows which open out onto the garden and glorious green countryside of Marche. 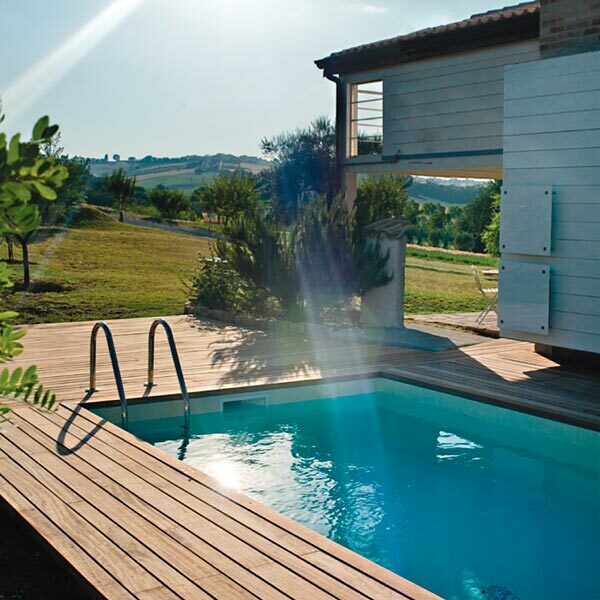 It's here, in the garden, that you'll no doubt spend much of the day, soaking up the sun in the solarium or swimming in the pool. Feeling peckish? 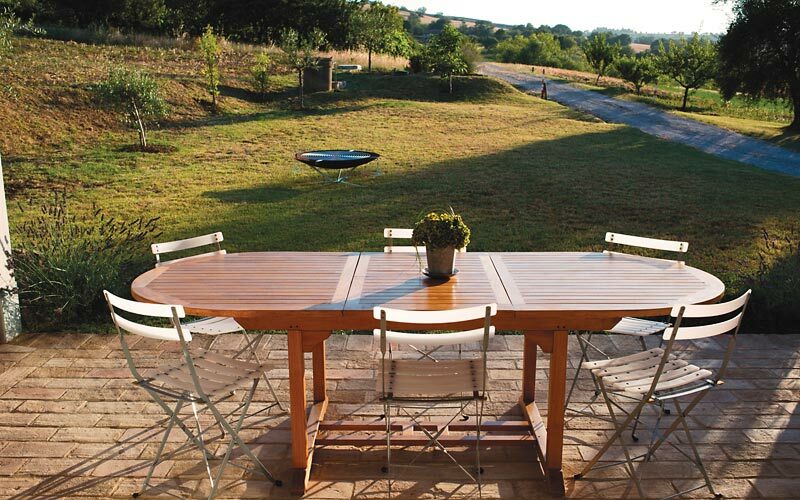 Treat yourself to a leisurely al fresco feast, grilled to perfection on the guest house's hi-tech barbecue and savored, slowly, in the shade of the large entrance porch! In the last 30 days 43 people have visited this page. Santomaro Country Loft. The name says it all - well almost! 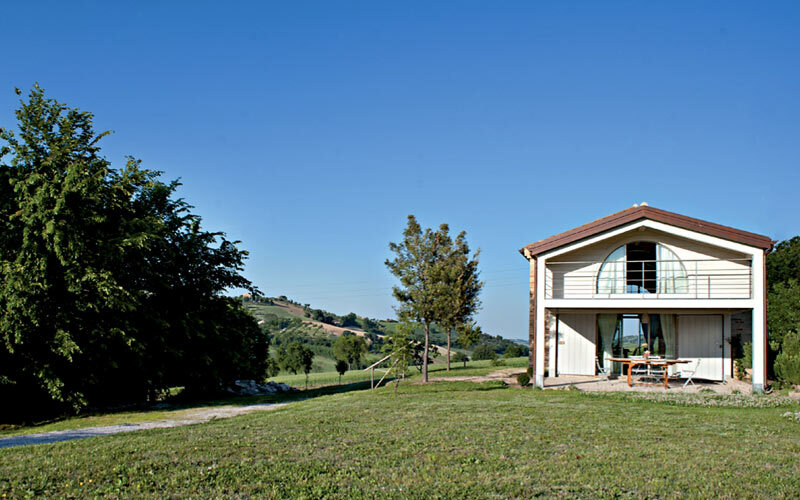 Because although this guest house sits nestled amidst the green hills of Morrovalle, it's only a few kilometers from the beaches of Marche too! 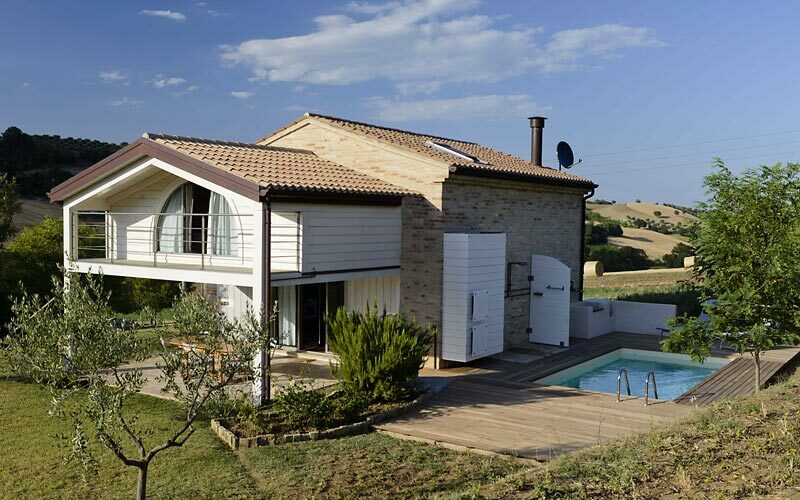 If you want to explore, the seaside resort of Civitanova Marche (13 km), the town of Macerata, and the famous Sanctuary of Loreto are all less than 30 minutes away. Other places well worth visiting in the vicinity include Recanati, where the famous Italian poet Giacomo Leopardi was born, and the picturesque towns of Sirolo and Numana - on the Conero Riviera. 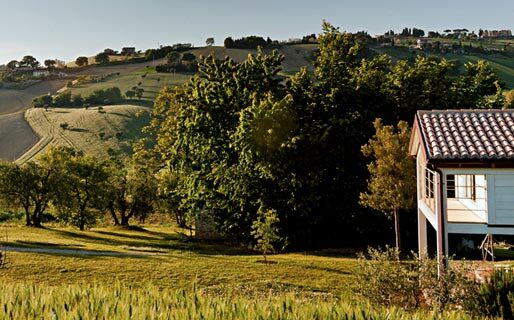 Discover the peaceful green countryside and magical medieval villages of Marche. Treat yourself to sunny days by the sea and romantic nights in the hills.